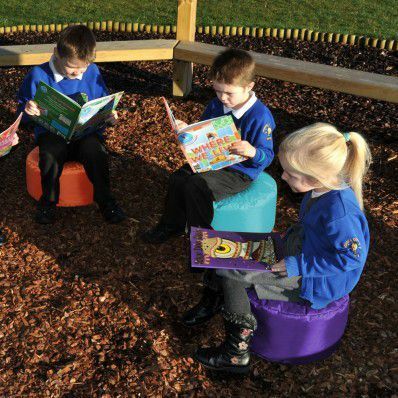 Brighten up reading areas with this mixed pack of five brightly coloured rounds. A colourful way of encouraging children from early years to key stage 2 to interact in a fun less traditional learning environment. 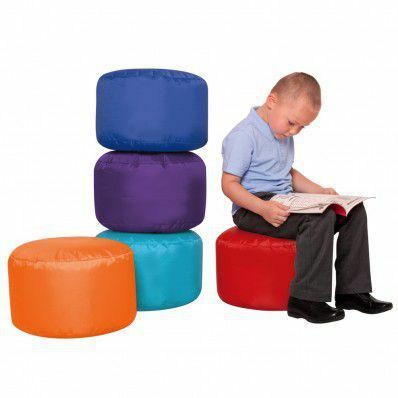 Lightweight, portable and 100% waterproof the stools can be used outdoors as well.